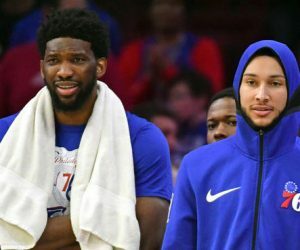 The young and restless Sixers got a look at their past last night as they contemplate their future. 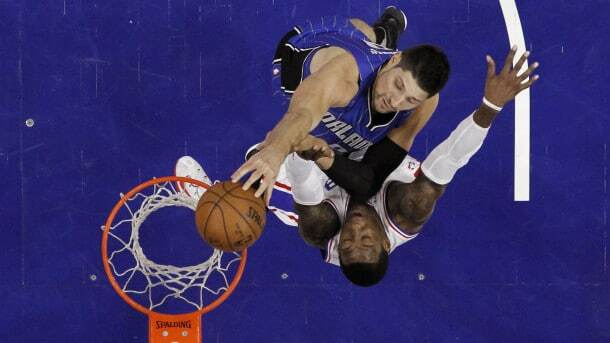 Nik Vucevic (above), whom the Sixers drafted 16th overall in 2011 and then traded the next season, scored a season-high 35 points leading the Orlando Magic to a 124-115 victory over the Sixerst. Vucevic also had nine rebounds in a “must-win” game according to coach Scott Skiles as the Magic try to gain ground in pursuit of their first playoff berth in four years. Vucevic was 13 for 21 from the field and 9 for 9 at the line. 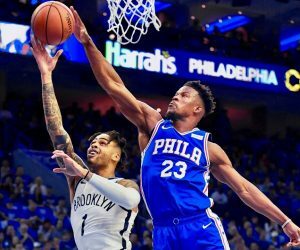 Ish Smith scored 22 points and Jahlil Okafor had 17 for the NBA-worst 76ers, who dropped to 8-48 with their fifth straight loss and 10th in the last 12. Okafor was coming off a career-best 31-point outing in Philly’s 129-103 loss at Dallas on Sunday. Nerlens Noel added 16 points and 11 rebounds. The 76ers have allowed an average of 122 points in their last four losses. Vucevic played his rookie season for Philadelphia before being dealt over the summer to the Magic, who continue to reap the benefits. But Orlando didn’t need his scoring during a pivotal 11-2 run to open the fourth quarter, capped by Jason Smith‘s jumper that made it 108-95 with 8:36 remaining. 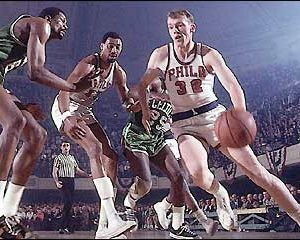 Smith, another former 76er, had six points during the Magic’s spurt, which proved too much for the Sixers to overcome. The 76ers erased a five-point halftime deficit by hitting 12 of their first 15 shots and had their largest lead at 83-77 on Noel’s alley-oop dunk. But Orlando outscored Philly 20-10 over the final 6:28 of the third to enter the fourth quarter up 97-93. Next HEY BRETT BROWN: CAN ANYBODY ON THE SIXERS PLAY DEFENSE?